What Does Equal Educational Opportunity for All Students Really Mean? First it was Princeton University, then Harvard University, and now Yale. Three of the top ranked universities in the country are (or were) all the subject of investigation by the Department of Education’s Office of Civil Rights. The complaints allege that the schools’ attempts to ensure racial and ethnic diversity among admitted students unfairly discriminate against White and Asian students. Are these schools’ diversity efforts violating the Office of Civil Rights’ mandate to ensure equal access to educational opportunities for all? It is an important question, with far-reaching consequences. After all, this is not just about Princeton, Harvard or Yale. Increasingly elite high schools, colleges, and universities across the country are engaged in efforts to ensure that more students from every background and all walks of life have an equal opportunity to access the best education our nation has to offer. If we are truly committed to equal educational opportunity, shouldn’t we be applauding these efforts? Instead they have been condemned and attacked, almost always by White and increasingly by Asian students who allege that these diversity efforts benefit largely Black and Hispanic students at their expense. Rather than seeing these diversity efforts as denying equal educational opportunities to White and Asian students, the complainants themselves could be seen as attempting to hoard these elite educational opportunities from their Black and Hispanic peers. To date, both the Office of Civil Rights and courts have rejected the complainants’ theory that these diversity efforts are discriminatory. But there is both historical and sociological support for the claim of educational opportunity hoarding. Sociologists such as Douglas Massey have observed that all human societies develop hierarchical structures around some, and often multiple, dimensions of group identity (e.g., gender, race, ethnicity). These structures become the basis for the distribution of societal resources, both tangible (e.g., wealth) and intangible (e.g., power). Throughout our nation’s history, race has been a defining marker of social status, beginning in slavery and continuing through segregation. It remains evident in the persistent racial inequalities that plague our society even today. According to Massey, the phenomenon of opportunity hoarding occurs when a group at the top of the social hierarchy secures a disproportionate share of resources for themselves and other “in group” members, while excluding access to such resources for “out groups.” The more scarce the resource, the greater the propensity for hoarding. We see this play out in many areas of society, but it is especially pronounced in education, and it has particularly pernicious consequences. Education has long been prized as the most important rung on the ladder of opportunity. Yet education as a societal resource has seldom, if ever, been distributed equally in this country. Public schools were ordered to desegregate in 1954 in a landmark Supreme Court case declaring racial segregation in education “inherently unequal.” After a brief period of desegregation, which peaked in the 1990’s, public schools have been rapidly resegregating over the last several decades. According to data from ThinkProgress.org, more public school students attend racially identifiable schools today than at any time since 1968. A 2016 GAO report documented how Black and Hispanics students in particular are much more likely to attend hyper-segregated schools that are both underfunded and low-achieving than their White and Asian counterparts. Looking at elite institutions specifically, which are the scarcest of all educational resources and not coincidentally have been the largest targets of discrimination complaints, we see even more pronounced disparities in the racial demographics of students. Harvard University, the nation’s premier ivy league school, has an Asian student population (22 percent) that far exceeds the national average of Asian high school graduates (5 percent). Yet Asian students sued Harvard alleging its diversity admissions policy discriminates against them. A complaint was also filed against Harvard on behalf of White students with the Department of Education. Together, White and Asian students comprise over 70 percent of students admitted to Harvard, though they comprise just over 50 percent of K-12 students. These disparities are not limited to higher education. Published figures show 70 percent of New York City Public School students are Black or Hispanic. Yet, recent demographic data for Hunter College High School, one of New York City’s most coveted selective admissions schools, shows that its student body is nearly 90 percent White and Asian. When the school proposed a change to its admissions process that was designed to expand admission to a wider range of students, including in particular more Black and Hispanic students, parents and alumni objected. But these data do not suggest that either Harvard University or Hunter College High School discriminates against White or Asian students. If anything, they suggest that White and Asian students enjoy disproportionate access to these elite educational institutions, relative to their Black and Hispanic peers. The reason for these disparities is often heavy reliance on standardized test scores for admission. But there is now overwhelming evidence that these tests are not the best measures of students’ academic ability. Many schools are abandoning them precisely because they more closely correlate with social and economic advantage than with student achievement. Even more troubling than the fact of opportunity hoarding itself is that the benefits accrued from it are not limited to the educational context. Research shows that a good education not only propels individuals up the ladder of economic opportunity, it can also keep them from falling down the ladder. Consequently, people at the bottom who are denied access to a quality education are prevented from achieving upward mobility, and people at the top who gain such access are unfairly insulated from experiencing downward mobility. Race remains a stubborn marker of status in our society. And education is the most important engine of social mobility. If we are ever to achieve the kind of equality of opportunity we aspire to, we are much more likely to succeed by ensuring the broadest access to the best schools for all students than we are by allowing a select few to hoard these elite educational opportunities for themselves. 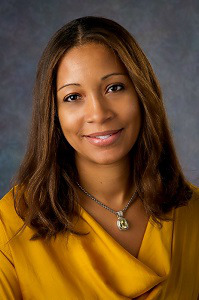 Stacy Hawkins is a professor of Law at Rutgers University. She writes on issues of diversity in both education and employment.